Date: Apr 16 2018, 8:30 a.m. - 2 p.m.
Open to the public. No military association required. Note. 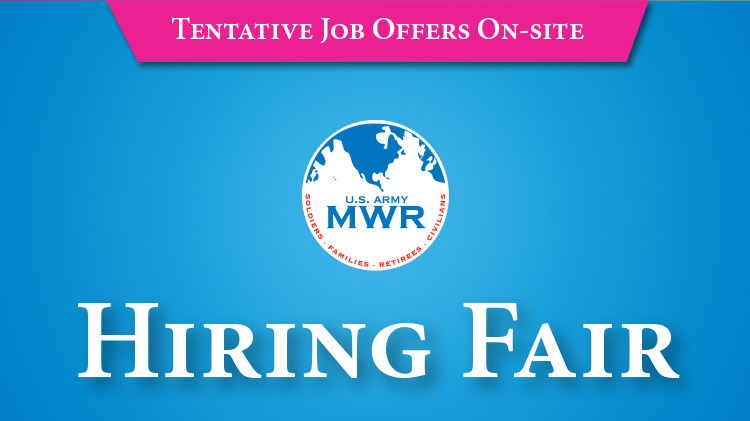 Applicants who participate in the Hiring Fair will receive priority consideration. All job offers are tentative pending clearance of background checks or consideration of preference eligible candidates. Selected applicants who receive a tentative job offer must be able to visit the NAF HR Office on April 17 or 18, 2018 to complete additional paperwork.